The last rank-and-file police officer on the Denver Police Department's use-of-force advisory committee has resigned, calling the group "dysfunctional" with infighting and no clear direction. "It's another example of failed leadership," said Denver Police Detective and Treasurer of the police union, Tyson Worrell. 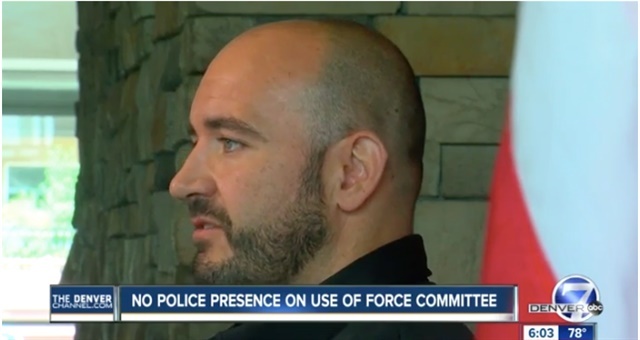 Worrell was one of several officers invited to participate in the committee that had been tasked with helping write the new use-of-force policy. However, they have all left the committee. "This does not reflect the type of policy all Denver citizens expect from the police," Worrell wrote in his resignation letter to Chief Robert White. "Furthermore, it puts officers at risk in the performance of their duties. Therefore, I cannot continue to participate nor does the draft reflect any of the input I have provided."